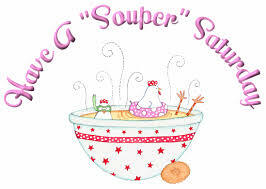 Our second popular Souper Saturday will occur on February 23 at the Emma Andrews Library, 77 Purchase Street from 12 noon until the soup runs out. February's Souper Saturday will feature Chicken and Wild Rice soup, Tuscan Fish Stew, Split Yellow Pea soup with Kielbasa, Vegetable Pesto soup, and will debut Fruit Loops soup. There will also be fresh breads and an assortment of delicious desserts. A $5.00 donation will be appreciated as the monies collected go to fund the many children's programs that the Emma offers.